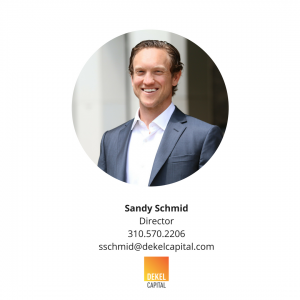 Dekel Capital is ready to discuss your unique capital challenges at the NMHC 2017 Annual Meeting in San Diego. With proven expertise in capital market advisory and private equity, we look forward to starting the conversation on how Dekel Capital can structure and source financing to provide the certainty of execution to close your next multi-housing deal. Through our proprietary JV-equity program we also make select investments and partner with local developers in ground-up multifamily, senior housing, and student housing developments. To schedule a meeting, please contact Sandy Schmid.